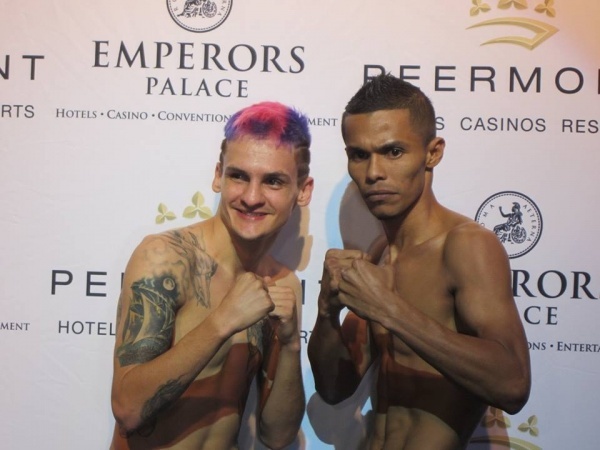 South Africa’s Hekkie Budler smashed Karius Diaz of Colombia to defeat in 2 minute 59 seconds of the first round to retain his WBA minimumweight and IBO strawweight belts at Emperors Palace near Kempton Park on Saturday night. The supremely confident Budler (47,50kgs) took the fight to the slow moving Diaz (47.25kg) from the opening bell as he landed with stinging lefts and rights to the body. Just before the bell Budler backed the challenger up against the ropes to land with an overhand right that sent Diaz down flat on his back where he was counted out by referee Steve Smoger. Budler was making the first defence of his WBA belt and the fifth defence of his IBO belt. For the record the judges were Jose Torres (Puerto Rico), Phillipe Verbeke (Belgium) and Dave Parris (UK). Budler improves his record to 26-1; 8 and Diaz drops to 21-5; 14.